Olive and Emerald: back in action! I'm planning another wedding, and this time it's my own! I have disappeared for the last several weeks to enjoy the newness of my engagement, celebrate with family and friends, and soak up the good ideas around me. In that time, I have found some wonderful inspiration: below is one of my all-time favorite guest books, featured in the Summer 2010 Martha Stewart Weddings article Red Letter Day. 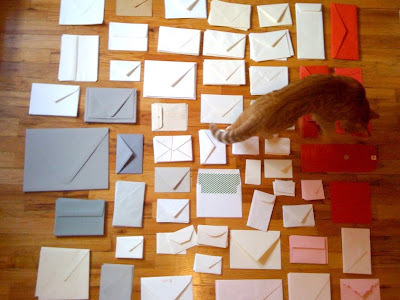 The idea of being able to write a little note and place it on a page in an envelope is perfect - it allows privacy for the author and excitement for the recipient. 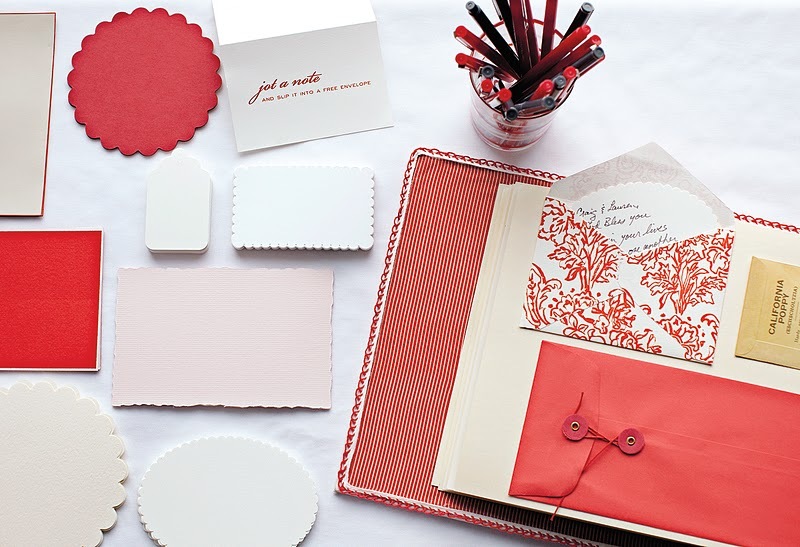 Plus, who wouldn't want to infuse their guest book with color, texture, and pattern? For a more DIY approach, make your own envelopes out of wrapping paper, wall paper, old books, etc.